The importance of good aerodynamic design was well understood since the times of George Cayley. Generating lift with a wing at a certain speed comes with a price: drag. (The ratio of lift and drag being called “efficiency”). This drag has to be counter-acted by a propulsion device to achieve sustained flight – instead of gliding flight. The higher the aerodynamic efficiency, the more lift can be generated with the same drag – thus allowing heavier airplanes, able to carry more load or fuel. If one wants to make more efficient airplanes, one has to study how the air flows around a moving object, and how to make it move in such a way that would produce lift. In other words, one has to study the aerodynamics of the airplane, and specifically, the mechanisms behind the generation of lift. At the time of the first powered flights, there was little knowledge about what caused lift. Cayley already knew that the air flow is accelerated on the upper side of a wing and decelerated on its lower side, causing a difference in pressure that will lift the wing upwards. He also intuitively knew that cambered wings produced more lift than flat plates. Schematic the flow around an airfoil. Lift is defined (by convention) as the the force perpendicular to the incident airflow. But no one really knew how exactly a wing made it happen. And, more importantly, no one had a reliable model that could predict how a wing with a given geometry would fly. Basically, aerodynamic design was empirical: every new wing model had to be tested, either in flight or in a wind tunnel, to know how well it performed. That’s one of the main reasons why aviation had such slow beginnings – a lot of flight testing had to be performed before any progress could be made. But everything would change when Germany’s heavy investment in technology started paying dividends in the field of aviation. Some of mankind’s brightest minds have devoted themselves to fluid mechanics, only to make a small contribution to the field. The whole history of aerodynamics and fluid mechanics would deserve a series of articles of its own, so let’s focus on the main ideas. There are some recommendations at the end of this chapter for those interested in knowing more about aerodynamics. In a nutshell, the biggest issue with Fluid Mechanics is that it is particularly complex. Fluids have no defined form and tend to adapt to their environment, so their motion is difficult to describe, let alone predict. The following thought experiment illustrates it: imagine throwing a stone across a room. One can define (and even predict) the trajectory of the stone quite easily. Now, let’s try to throw some air across the same room. Isn’t that difficult? As a fluid, air will adapt and flow around one’s hand. And even if our movement makes the air move, how could we distinguish it from the rest of the surrounding air, anyway? Air is composed of single particles (molecules), but it behaves like a continuum. It took the most advanced 19th century mathematics and physics to develop a model applicable to almost all ordinary fluid motions – the Navier-Stokes equations. Still, this mathematical model is so complex that there is no proven solution for a generic case. Solutions exist for some extremely simplified problems – and most of them have little interest for real-life applications. As a side note, one should mention that particular solutions can be found numerically. This means that the Navier-Stokes equations can be solved numerically for a particular case (for example, an airplane flowing through the air at a particular speed). But even today’s most advanced supercomputers cannot solve these equations in a reasonable time, so scientists and engineers still have to make some approximations – mainly related to turbulence modelling. Since there were no reliable models to be applied, the aviation pioneers had to resort to empirical knowledge. Otto Lilienthal tested different wing geometries. 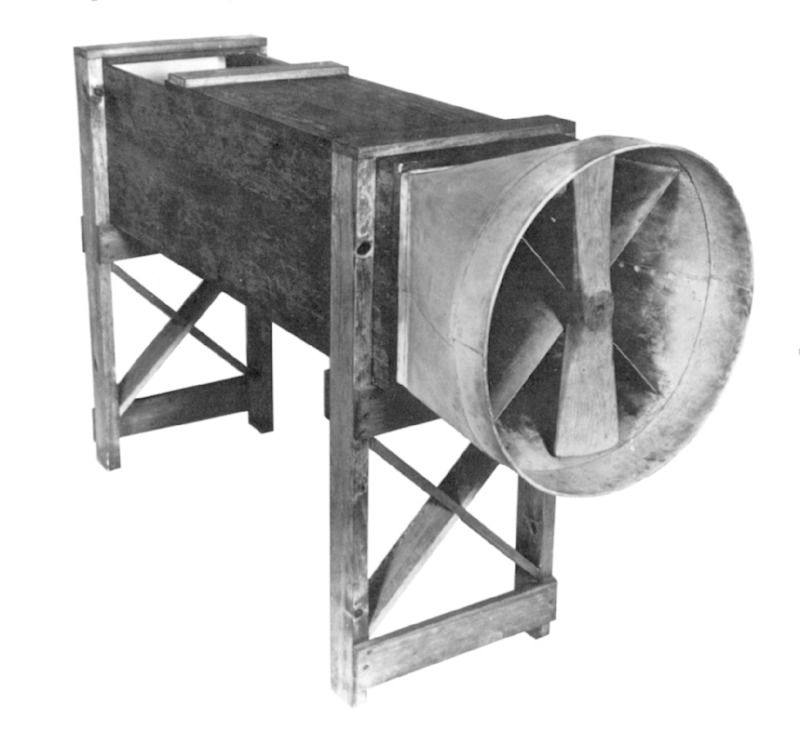 The Wright brothers built their own wind tunnel to produce their own data. But this was to change soon. At the beginning of the 20th century, Germany was a scientific and technical powerhouse, producing a remarkable string of scientists and engineers that would have an everlasting impact on many fields. And three of them in particular would revolutionize aviation. The first one was Martin Wilhelm Kutta: a mathematician widely known for the Runge-Kutta numerical method, who started studying aerodynamics inspired by the deeds of Otto Lilienthal. He studied the aerodynamics of airfoils. Arfoils are the 2D shapes of a wing in cross-section. Where V is the incoming air speed, ρ its density and Γ the circulation produced by the airfoil. The subindex “infinity” refers to magnitudes of the unperturbed incoming airflow (This theorem was also independently developed by the Russian scientist Nikolai Joukowski in 1906, hence the name). This is a fundamental step towards calculating an airfoil’s performance – but it’s still not enough. One needs to find out the value of circulation. One still needs to know how much the air will accelerate and decelerate when traveling along the airfoil. Kutta also observed that, under normal circumstances, there is no air flow around the end of the airfoil, from the lower to the upper part. This condition, aptly named the “Kutta condition”, allows the calculation of circulation on an airfoil. For those interested in going into more detail about airfoil theory, two books are recommended at the end of this article. Incidentally, a widespread myth says that this acceleration happens because the air has to travel through the upper and lower parts at the same time, and since the path along the upper part is longer than the path along the lower part, the flow should accelerate. This is widely known as the “equal transit fallacy”. Basically, in real conditions, flow is accelerated by much faster along the upper part of the airfoil, so the “transit time” of the upper part is much shorter than that of the lower part. Calculating the lift generated by an airfoil is decidedly useful for aerodynamic design – but still now enough. How does a whole wing 3D perform? This is not necessarily easy to extrapolate from airfoil data. And even more, how could one calculate the drag generated by that wing? Everything was going to change radically when a German engineer called Ludwig Prandtl decided to start studying Fluid Mechanics. In 1904 he delivered a modestly sounding, yet groundbreaking paper called “Fluid flow in Very Little Friction”, in which he first explained one of the most important concepts of aerodynamics: the boundary layer. In a nutshell, the boundary layer of an airflow is the region where the air “touches” the obstacle, in this case, an airfoil. Prandtl’s theory of boundary layers allowed a good estimation of airfoil drag to be made. But this wasn’t enough for Prandtl. In 1904, thanks to the academic prestige gained for his paper, he became the director of the Institute for Technical Physics at the University of Göttingen. And then, he set out to make it the world centre for aerodynamic development. And then, aviation changed forever: it was in Göttingen where a suitable 3D wing theory was developed, allowing engineers to predict drag. 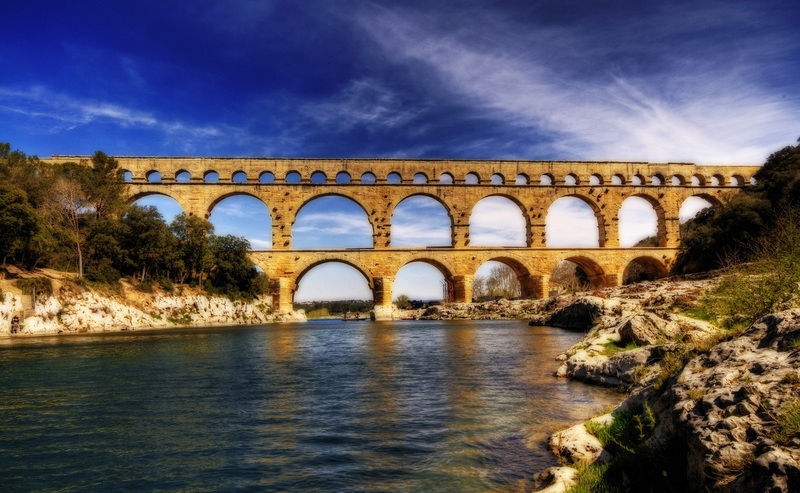 Many of Prandtl’s colalborators and students would become well-known names in the field of fluid mechanics (such as Blasius, Busemann, Ackeret, Pohlhausen, Schlichting, and the third man in this story). During approximately 20 years, this group of researchers developed a set of tools and methods that allowed engineers to predict performances of airplanes before they were built. Some of these methods are still used today for basic analyses and back-of-the-envelope calculations. The development of this set of tools, combined with the need for better airplanes in World War One (1914-1918), would bring about enormous progress in aviation. This will be the topic of the next chapter of “The Day Aviation changed”: World War One and aviation. It is interesting to point out how this story defies the common view of scientists as single-handed geniuses, developing their theories in the isolation of their ivory towers. Even if many of these methods would go down in history as “Prandtl’s lifting line theory”, “Kutta condition” and so on, these weren’t the deeds of isolated men. Firstly, because both Kutta and Prandtl built up from previous knowledge developed by other scientists. And secondly, because many of these theories would be developed in collaboration with other scientists, and not single-handedly. There are two reference books on the basics of flight and aerodynamics that are highly recommended to all readers that want to go a bit further. Both of them were written by John D. Anderson (a classic in aeronautical engineering). The first book is Introduction to flight: it is an introduction to all basic aspects of flight and aeronautical engineering – from the most basic aerodynamics, to flight dynamics and structural design. It is remarkably pedagogical, and lined with numerous historical notes. As somebody once said, Introduction to flight summarizes everything that an aeronautical engineer must know – the rest he can look up in specialized literature. The second book is called Introduction to aerodynamics, and it is a more technical book, focusing only on the basics of aerodynamics.